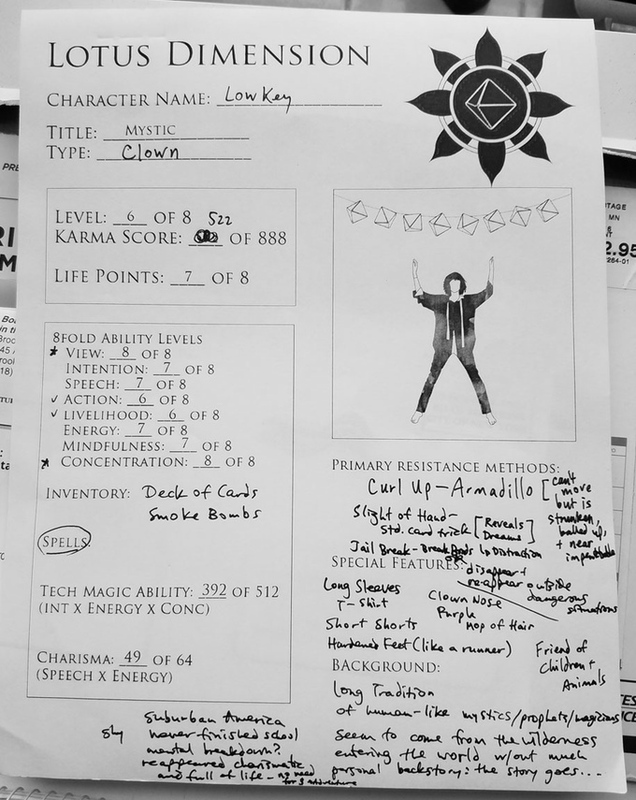 Lotus Dimension is a new tabletop roleplaying game similar to Dungeons & Dragons, but with the key difference being that players must solve all conflicts without the use of violence. Like D&D and other tabletop games, players create characters that use skills, items, and magic that rely on dice rolls to determine the outcome of events. The game’s nonviolent focus and other elements are inspired by Buddhism and nonviolent historical figures like Gandhi and Martin Luther King Jr. Creator Scott Wayne Indiana is raising money to produce the game through a Kickstarter campaign where backers can claim the first starter kits for the game and other rewards. I’ve always admired D&D because it’s rooted in storytelling, magic and adventure, and it requires creativity and collaboration. But I wanted to know: What would a game structured similarly to D&D be like if players had to solve all the challenges the game threw at them using nonviolent means?